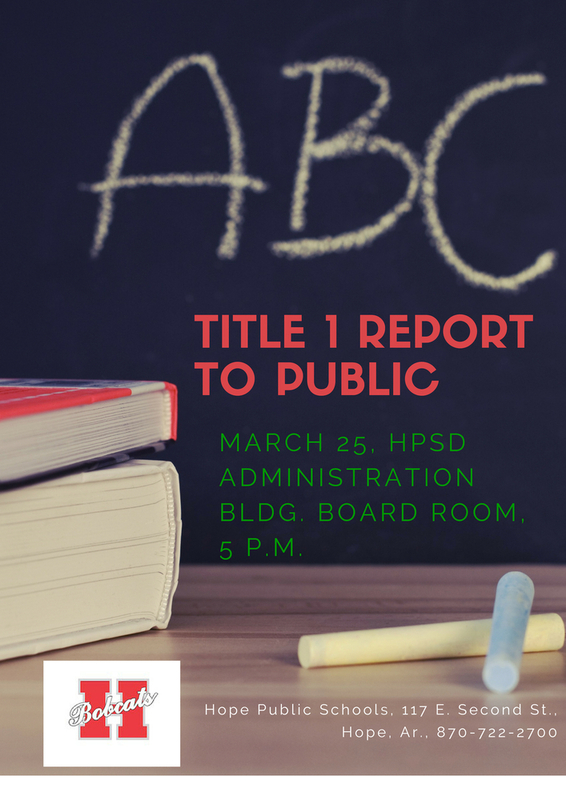 Parents and stakeholders of the Hope Public Schools are invited to attend the annual Report to the Public session of the HPS Title I Federal Program on March 25. The 5 p.m. meeting will be conducted in the school board conference room on the second floor of the HPS Administration Building, 117 E. Second Street, in Hope. The meeting is required under the Title I program, which provides funding for elementary and secondary schools with significant poverty-level student populations to support remedial education in core subjects. HPS Federal Funds and Equity Coordinator Portia Jones will facilitate the meeting.